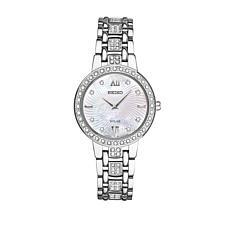 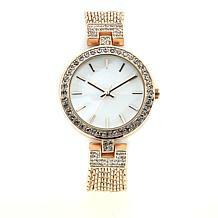 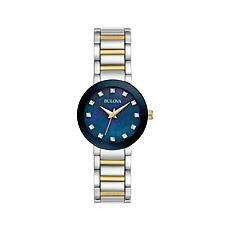 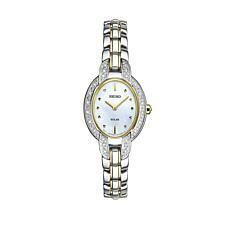 HSN combines practicality with enviable style with its elegant collection of women's pearl watches. Wearing a women's pearl watch is the perfect way to add sophistication to your everyday routine, while ensuring you never miss an important appointment! 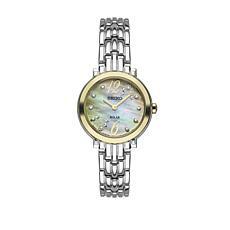 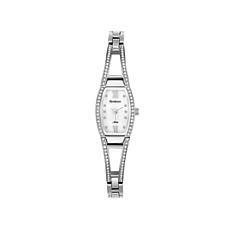 HSN's pearl watches feature eye-catching, mother-of-pearl dials that make telling time a real joy. 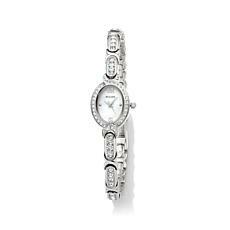 These pretty watch faces are often complemented by gleaming diamonds or crystals, which take their looks to the next level. 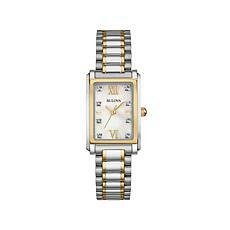 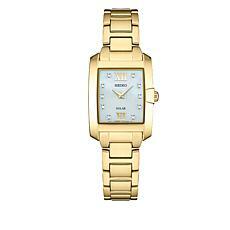 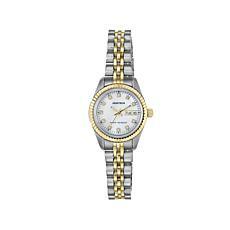 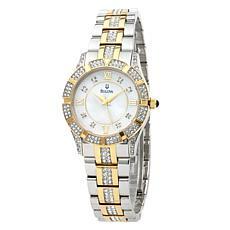 Classic gold and silver settings help these watches coordinate with your favorite women's jewelry. 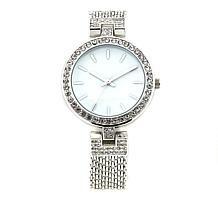 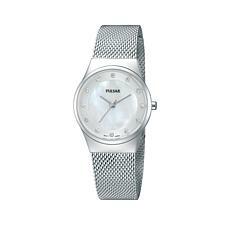 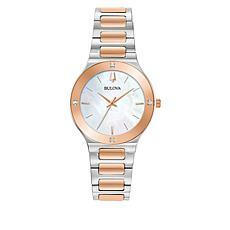 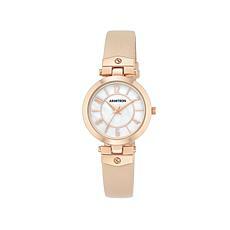 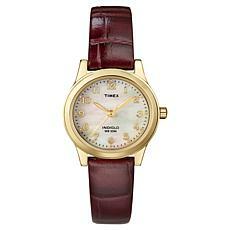 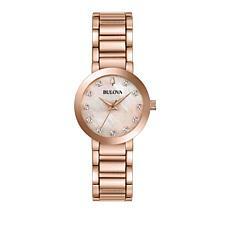 While their looks are striking, these women's pearl watches are practical, too. They come from leading names in watchmaking, such as Seiko and Pulsar, so you can trust them to keep you on time for years to come. 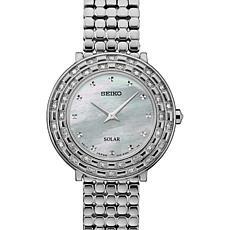 Some feature long-life batteries while other green options are solar-powered. 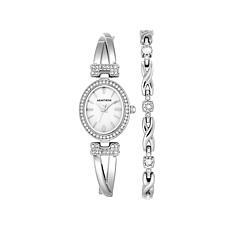 All come bundled with comprehensive manufacturer's warranties for your peace of mind. 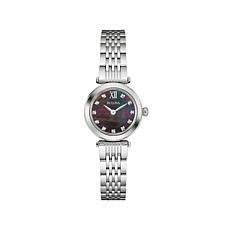 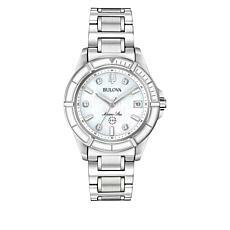 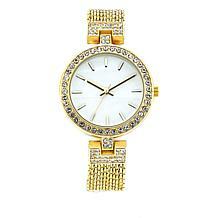 A high-quality women's watch embellished with gems can be a substantial investment, but HSN makes the purchase easy on your wallet. 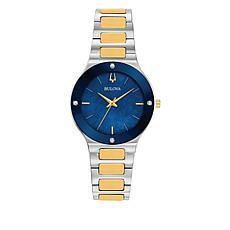 While you can always pay upfront, HSN's FlexPay program also lets you enjoy your new watch now but pay it off in small, budget-friendly installments. 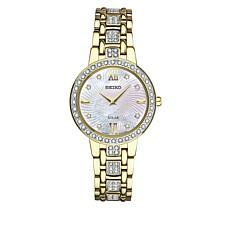 It's another way HSN makes shopping easy.